Dell Streak is a 5-inch beast that touches on two segementy market. Streak'a can be classified as a smartphone or tablet, thanks to its large dimensions and overground memory. 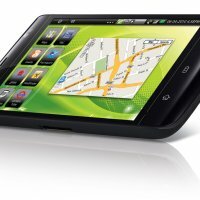 Dell's first product with Android. Remember that entered PIN on the website must be exactly the same as PIN entered in the setup program on your Dell Streak.